It is the season of gratefulness. We have gathered in our harvests and are putting away the garden for winter’s long sleep. But what about the garden? What will replenish its fertility and wellbeing for the next growing season? Now is a good time to add garden soil amendments to the ground. It will thank you in productive fruitfulness in years to come. What’s Good For Your Garden? 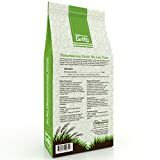 Diatomaceous earth is an organic “bug killer”; in the garden it can help control nemotodes which stunt plant growth. It can be used indoors, too. Leaves. Yes, good old fashioned tree leaves decay into rich “leaf mold” which is a wonderful soil conditioner. Save your leaves in plastic bags or compost them to add to your garden soil. Compost. Since we are talking about compost, it might be a good time to get a Tumbler Composter to save all the winter’s vegetable scraps for humus making, enriching compost. On my list is some Organic Compost Starter to activate my pile for faster results. Sowing green manures. Sowing a green manure crop will accomplish a number of good things for your soil. Some crops to use: Cereal rye; Agricultural mustard; Alfalfa; Banner fava beans; Alsike clover. Everything that you do now to prepare for the next growing season is something that you don’t have to do later (when spring crowds your schedule and taxes your strength with its many demands). Many of these suggestions tie in with chores you will be doing, anyway. Raking leaves? Save them, don’t add to the landfills. Bags stored in an out of the way place, to be added to the garden once they are decomposed. Clearing the vegetable plot? Sow the crop cover for green manure turned in during spring prep. Need to get rid of peelings, etc. during winter? Be ready with your composter near the kitchen door. You may not always find them, but late fall is a good time to look for bone meal, blood meal, and fertilizers at a discount. Even if they aren’t on sale, you may want them ready for use ( checking one more thing off the busy growing season’s to-do list . After clearing the old debris from the surface, add your made, or half-made compost into the earth. Loosely fork it in. Add a small amount ( handfulls) of organic fertilizer to the garden, as well. It will help further decompose the leaves or compost you have added. Animal manures ( chicken, horse, cow… not from pets) are good to spread across the soil to age over the winter months. Fall is a good time to sprinkle in lime, or adding clean wood ashes. Or maybe the pH is high? Acidify with pine needles, or sulfur. Not sure? 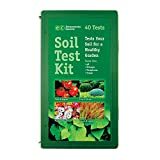 Take a sample to the county extension office or use a home soil tester. Out here in the North, where our cold climate gives plenty of winter frost action, the farmers used to turn up the earth in big clods to better take advantage of the way frost will condition the soil and help expose insect eggs to the elements. I say “used to” because so many farmers here have been convinced to use ” no-till” methods which depend on chemical control for killing insects, weeds, and to keep soils from blowing away. The old organic method, perhaps with a cover of rye or alfalfa might be the best method for your garden. Experiment!